The Filmmaking Program combines the practical application of cinematic creation with theoretical studies. Studies in film history and the cinematic rules of expression build a solid foundation of knowledge. Emphasis is placed on inspiring the artist's unique creative spirit. Students are encouraged to express and connect with themselves as a means of producing personal, meaningful material. The studies encompass all stages of creation, from an initial idea, through to screenwriting, character formation and plot development. Exercises focusing on the various aspects of cinematic language enable the students to delve into film-making, experimenting with different styles. The rich combination of studies creates a fertile soil for growth and the incubation period enables students to take impressive leaps in short amounts of time. Students participate in the process of creation and gain familiarity with all the elements of film, as well as with contemporary creators world-wide. They acquire skills and a command of the various components in film-making: scriptwriting, directing, production, photography and editing. Beginning in the first week of the program, students get hands-on experience directing and operating sophisticated photography and editing equipment. Alongside the encouragement of artistic freedom, there is also an emphasis on social awareness as it pertains to artistic context. Hence, a significantly large space is given to documentary films and the possibilities it encompasses. Central to the film program is the personal approach bestowed on each student. The students flourish in a creative hothouse, with personal mentors for projects as well as professional accompaniment from the field. The unique final projects make their debut in the film competition at the Cinema South Festival. They are later distributed and screened in both Israel and abroad. First Year: Introductory courses are offered in the art and theory of film and television. Workshops include: field recording, video photography, creative writing, directing and editing feature and documentary films, AVID editing and basics of screenwriting. Second Year: Studies include: video photography, advanced editing, advanced screenwriting, as well as workshops in assisting and directing film production. Third and Fourth Years: Mentorship for the completion of the final project is overseen by faculty staff: Uri Sivan (In Therapy, Saint Clara), Shlomi Elkebatz (Gett, Seven Days, Velakahta Leha Isha, Edut) , Nizar Hassan (Karam Abu Halil, Ijatia, Tahadi), Orna Levy, Anat Even (After the End, Asurot), Lina Chaplin (Trumpet in the Wadi, Was or Was Not), Prof. Avner Preminger. Director, screenwriter and producer. Head of the BFA track and Art Director of South Studio artist workshop, under the auspices of Cinema South Festival. Wrote and directed, together with his sister Ronit Elkabetz, the trilogy of movies “To Take a Wife” (winner of Critics' Award and Audience Award - Venice Festival 2004), “Shiva” (the movie that opened the critics’ week of Cannes Festival 2008; first prize at the Jerusalem Festival as best film and best actress; film, director and actress award at the Mediterranean Film Festival in Spain), and “Gett” (Cannes Festival 2014; hightest prize at the Jerusalem Festival), all three commercially distributed in France and other countries. Wrote and directed the documentary film “Edut” (Venice Festival). For television he directed the second season of the drama series “The Ran Quartet”, starring Yiftach Klein, Oded Leopold, Hagar Ben Asher, Nurit Galron and others. Teaches courses: Feature directing; development of feature television programs; directing actors; tutoring final projects. Director and scriptwriter, graduated from TAU Cinema Dept. 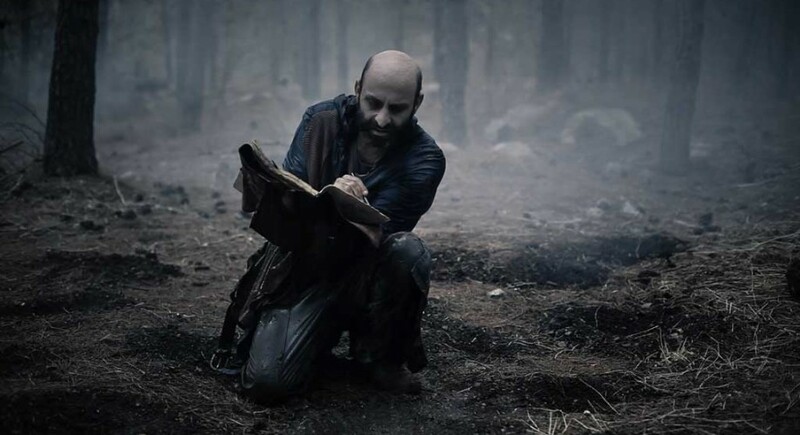 Among his projects are: “Yeheifim”, mini TV series (director and chief scriptwriter; “Betipul”, TV series (chief scriptwriter and associate creator), winner of Best Series Award and Best Script Award of the Israeli Academy of Cinema and Television, with the American version distributed and broadcast in over 60 countries world-wide; “Shabatot Vehagim”, TV series (chief scriptwriter), winner of Best Series Award and Best Script Award of the Israeli Academy of Cinema and Television; “Clara Hakdosha”, feature film (director and associate scriptwriter), winner of Best Film Award of the Israeli Academy of Cinema, representing Israel at the American Oscar. Teaches courses: Directing; tutor of final projects. Graduate of the Cinema Department at TAU. His documentaries deal with Israeli reality from a social-historical viewpoint. His films have won many awards, including the Ofir Award, Jerusalem Festival, Docaviv Festival, Creators’ Forum, Landau Prize, and more. He co-edits the journal “Takriv”, dealing with film documentary critiques, together with Anat Even. Researcher and senior lecturer in cinema, visual rhetorics, and popular culture. Degrees in cinema, television, theater and communications. Took part in establishing and directing the film department and Cinema South Festival. Research fellow at the Hebrew University, also teaching at the Sam Spiegel School of Cinema and Television. Teaches courses: Short film; genre thinking; elements of visual communications. Director, scriptwriter, producer, researcher and writer about cinema. Since 1986, independent creator of feature films and documentaries. Associate professor at the Communications Dept. of the Hebrew University, Jerusalem. In 2011-2012, Head of the department at Sapir Academic College, and in 2012-2014 Head of the Cinema Track. His first feature film “Golem Bama’agal” was screened at international film festivals world-wide and won several prizes, including the Wolgin Prize for Best Israeli Film at the 1993 Jerusalem Festival. Author of “Enchanted Screen - A Chronology of Media and Language”, Open University, 1995; “François Truffaut - The Man Who Loved Films”, Hakibbutz Hameuhad, Tel Aviv University and Sapir College, 2006. His films include: “Hahayim Benatayim” (2012); “Rak be’ayin Ahat” (2009); “Migrash Harusim” (2001); “Pidyon Av” (2000); “Hagarin Hakasheh” (1999); “Lilod Ulelamed Matematika” (1998); “Badereh Labayit Shel Aba” (1995); “Golem Bama’agal” (1993); “Shimsha Kidmit” (1990). Tracks: Cinema, post-graduate studies in cinema, production and theory. Teaches courses: 1st year directing; directing - tutoring final project; directing of actors, 2nd year; introduction to Israeli cinema - B.A. ; seminar on soundtrack-picture - post-graduate; David Perlov’s cinematic monograph - B.A. ; Krzysztof Kieslowski’s cinematic monograph - post-graduate. I was born in Tehran, Iran and grew up in Ashkelon. I completed my studies in 2006, and along with two friends, I founded the Tesha Studio, a music recording studio under the management of Patrick Sebag and Avi Toladano and a digital department including video production and graphics. Since then, most of my work surrounds art and music from Israel and the rest of the world. 2014 — Talking About “Happiness Express” by Yaron Shilon — A revealing and moving chronicle of Shlomo Arzi over the course of four years. Channel 2 — Documentarian and editor. 2010 — Clouds on the Road by Yaron Shilon — Follows Shlomo Arzi and his band during their tour of America. Docaviv International Film Festival, Channel 2 — Editor. 2009 — Beautiful Marianna by Shlomo Arzi, Yaron Shilon, and Amir Tal — The film follows Arzi’s cleaning lady as she prepares for her trip back to Romania. Channel 8 — Director and editor. 2009 — Blood Libel by Liron Levi-Hershkovitz — A movie about four women that examines women’s choices, their relationship with sexuality at differentages, and menstruation as a central event in their lives. Channel 8 — Co-editor. 2009 — Voice Over the Bridge — The film documents traditional Burmese singing. BBC. Editor. 2014 — Vacuum Season 3: “Family of a Missing Person” — The third season of the documentary series Vacuum under the journalistic guidance of Gal Gabai. The episode examines the problem of missing persons in Israel. Directed by Chaim Shadmi. Israel Educational Television, Channel 2 — Editor. 2013 — Vacuum Season 2: “The New Guard” — The second season of the documentary series Vacuum under the journalistic guidance of Gal Gabai. The Israeli government has abandoned the farmers, and the gap is filled by a volunteer organization called the New Guard. Israel Educational Television, Channel 2 — Editor. 2013 — Vacuum Season 2: “Education Isn’t Mandatory” — The second season of the documentary series Vacuum. In this episode, Gal exposes the gap in Bedouin education. Directed by Chaim Shadmi. Israel Educational Television, Channel 2 — Editor. 2013 — MTV IndieEarth Out There — A series of video clips with 24 episodes, which presents indie and underground artists from India and the surrounding region. — Director and editor. 2013 — Yuval Dayan: Don’t Say clip — Producer, director, editor. 2014 Cinema South International Film Festival. Film director, photographer and bard. He is also teaching poetic filmmaking at Sapir College. Born and raised in Arad and started his career with the film Gate of Tears, Rain of Roses that was screened in an exhibition at the Vatican. His film, Grandfather won the David Perlov Fund’s Audience Award, Israel in 2004 and was screened in festivals throughout the world and won the prizes: Audience Award, Infinity Alba International Film Festival, Italy, 2006, Vision de Reel, Nyon, Switzerland, 2006, Cinema de Reel, Paris, France, 2006. He kept his unique style also in the films The Woman of the Thousand Voices (2008) and Malka (2013). Originally from Ashkelon, after finishing my studies I ended up in the world of the haredi film industry. Since then I have written and produced around ten feature films and numerous programs and series for the haredi audience. The most recent of these received support from cinema foundations and broke beyond sectoral boundaries, succeeding in Israel and abroad. I teach film at Yeshivat Torat HaChaim in Yad Binyamin and am currently working on a (secular) television series for one of the Israeli channels. Take Mama (feature) — played at the 2013 Haifa International Film Festival and won the Audience Choice award at the 2014 Delhi International Film Festival, India. Dan Sachar is a graduate of the Film and Television Department of Sapir College. His three short films achieved overwhelming success in the international sci fi community and played in the genre’s biggest and most important festivals around the world. His most recent independent short film, Last of You, won the award for Best Science Fiction/Fantasy Film in Comic-Con San Diego. Aside from his directing career, Dan has recently worked as director of photography on the new comedy series Yaron, slated to run in February on Yes Comedy. He is represented by the American talent agency 3 Arts Entertainment. Currently, Dan and his writing partner, Yuval Yefet, are developing a new post-apocalyptic drama series. Overture / 2011 / 32 minutes — Stockholm Film Festival, Comic-Con San Diego / included in Twitch’s Best of 2011 Roundup. In 2015 Dan will be one of three judges in Comic-Con San Diego. “The cinema is the perfect place. The dark doesn’t distinguish between faces. The screen doesn’t judge those in front. The subtitles are accessible to the hearing-impaired. The seat is at just the height of a wheelchair. Originally from Kibbutz Gevim, he was in the first graduating class of the Film Track at Sapir College. He then supervised final productions in the Film and Television Dept. for two years. 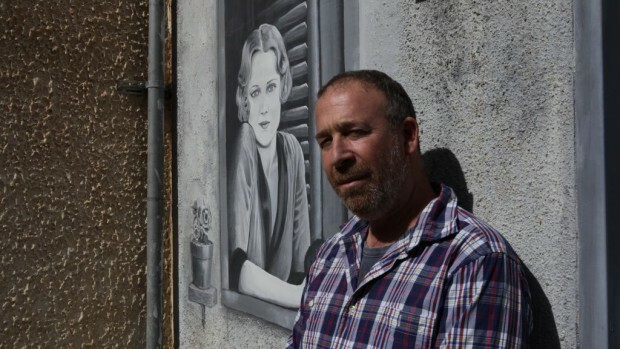 Over the last seven years he has been making movies at Daroma Productions in partnership with Elad Peleg, in addition to working with the disabled at Gvanim Association in Sderot. Teaching film for the last two years at Shikma High School in Yad Mordechai. “The 74th Passenger”, final project film which participated in about 20 festivals world-wide. “Gam Vegam”, 52-minute documentary, screened on the YESDocu channel in 2005. “Red Leaves”, feature, 80 mins., director: Bazi Gata. With funding from the Israel Film Fund, the Cable and Satellite Authority, the Gesher Foundation, the Avichai Foundation, Israel State Lottery, and Yes Channel. Screened at the Cinema South Festival; won the Jerusalem International Film Festival Award for a debut film, and the Fipresci Award for Best First Film. “Amal/Awakening”, feature, 80 mins., director: Maya Chatav. With funding from the Makor Foundation, the Jerusalem Film and Television Fund, the Gesher Foundation, and Yes Channel. In post-production. “Anthrax”, docu-drama, 80 mins., director and screenwriter: Shai Sharaf and Yael Oron. With funding from the New Fund for Film and Television, the Israel State Lottery, and Cinema South International Film Festival. In post-production. The Commandant, feature, 80 mins., director: Erez Peri. With funding from Channel 1 and the Israel State Lottery. In post-production. “A Woman in Haifa”, feature, 80 mins., director: Idan Chaguel. “Gotta Be a Hero”, documentary, 50 mins., director: Golan Reiz. With funding from Channel 10. “The Mossad”, parody, 95 mins., director: Elon Gur Aryeh. With funding from the Jerusalem Film and Television Fund. In pre-production. “Desert of Wanderers”, documentary, 54 mins., director: Dori Rivkin. With funding from the Second Authority for Television and Radio. In post-production. “Life According to Ohad”, documentary, 80 mins., director: Daniel Ari Erlich. With funding from the New Fund for Film and Television, the Israel State Lottery, and YesDocu. Honorable mention at the 2014 DocAviv International Film Festival. Aired on YesDocu. “King of the Festival”, animated feature, 80 mins., director: Uri Merentz. With funding from YesDocu and the New Fund for Film and Television. In post-production. “Off-Peak”, documentary, 54 mins., director: Tal Avitan. With funding from the New Fund for Film and Television and the Second Authority for Television and Radio. In post-production. “Nudes”, feature, 28 mins., director: Yoram Zachs. With funding from the Makor Foundation. Finalized. “Kusturica’s Dream”, documentary, 60 mins., director: Ayal Sivi. With funding from Nega Communications – Channel 8. Aired on Channel 8, in Israeli cinemas, and in international film festivals. “One on One”, documentary, 54 mins., director: Dori Rivkin. Participated in the documentary competitions at the 2010 Cinema South Film Festival and the 2010 Haifa International Film Festival. With funding from the New Fund for Film and Television, the Israel State Lottery, and the Second Authority for Television and Radio. Director and creator, born in ’79, grew up in Dimona. Holds a BA in Film and Television Arts from the Department of Film at Sapir College, and an MA in Visual Anthropology from Freie Universität in Berlin, Germany. Her narrative film, “White Walls” (2005) won prizes at festivals in Israel and worldwide, and is still considered one of the landmarks for the eastern representation of women in the Israeli cinema. 2013- No place like home, Documentary 16', Director and Cinematographer. A collaborative project with two colleagues at Freie Universitat Berlin, portrays a visit to an Afro shop, which is a center of the Ghanaian Diaspora community in Berlin. Israeli director, lives and works between Jerusalem and Berlin. Graduate of the School of Film at Sapir College. His short film, “A Prayer in January,” was screened at over 20 international festivals, and was sold for distribution and broadcasting in German speaking countries. His final project, “Dor,” won the prize for Best Film at the Katowice Festival, the Photography Prize at the Cinema South Festival, and participated in many other festivals including Clermont-Ferrand, Max Ophuls, Freiburg and more. He is currently working on his first feature film, “The Baker from Berlin,” and on a short film with French-Chilean production, to be screened at the Cannes Festival in 2015. He is concurrently working on editing documentary films and video art projects, which are highly successful on the Israeli and international markets. Ophir was invited by the Cannes Festival to participate in the Chile Factory Project and to direct an episode of a feature film to be screened at the Cannes Festival 2015. Co-production market, Berlin Festival – Talent Project Market. Production grant, Film and Television Initiative, Jerusalem. Best Film at the Katowice Festival, Poland (“Dor”). First Prize for young artists, Cinema South Festival. Second Prize at the “Adam Flint Treatments Competition”, Student Film Festival, Tel Aviv. Prize for Editing - Cinema South Festival (“Fragments”). Eli Gelfand Short Films Fund (“Dor”). The Young Critic’s Prize for Best Film in Visions du Reel, Nyon, Switzerland, 4/11. Prize for Mid Length Film, RIDM Festival, Montreal, Canada, 11/11. Best Director Prize, Documentary Film Festival, CRONOGRAF, The Republic of Moldavia, 5/11. Silver Palm Prize, Mexico International Film Festival, Mexico, 5/11. Honorary Mention for first film, MiradasDoc Festival, Tenerife, Spain 10/11. True/False Festival, Missouri, U.S.A., 3/11. Silverdocs Festival, U.S.A., 6/11Margret Mead Festival, New York, U.S.A. 11/11. International Documentary Encounters Festival, Columbia, 11/11. Jihlava International Documentary Film Festival, The Czech Republic, 10/11. Robby was also the director of Israeli films in the New Media Gaza-Israel Films Project, which describes life in Israel and Palestine on both sides of the border, produced by Trabelsi Productions, Alma Productions in cooperation with ARTE, nominated for the International Emmy Award. He and Mckeekes Ronen Amar, another graduate, made an 80-minute documentary film following Rani Blair and Eldad Yaniv, founders of the political party “Eretz Chadasha”. The film is called “Fearless” and was sold to YESDocu. His third full-length documentary “The Unwelcoming” was shown at Cinema South Festival, and at the Jerusalem International Film Festival in 2014, and was purchased by Channel 8.